I am not really a fan of gladiola, but now and again I meet one on a journey in my area. Gladioli are a little big for most purposes. They are beautiful to look at, though. Not a fan? Wow, they were one of my favorites when I was a kid. They happen to be one of those flowers that look really good in white, although my colleague insists that they are funeral flowers. I find them boring somehow. Funeral flowers for me are white lilies, even the smell reminds me of funerals. 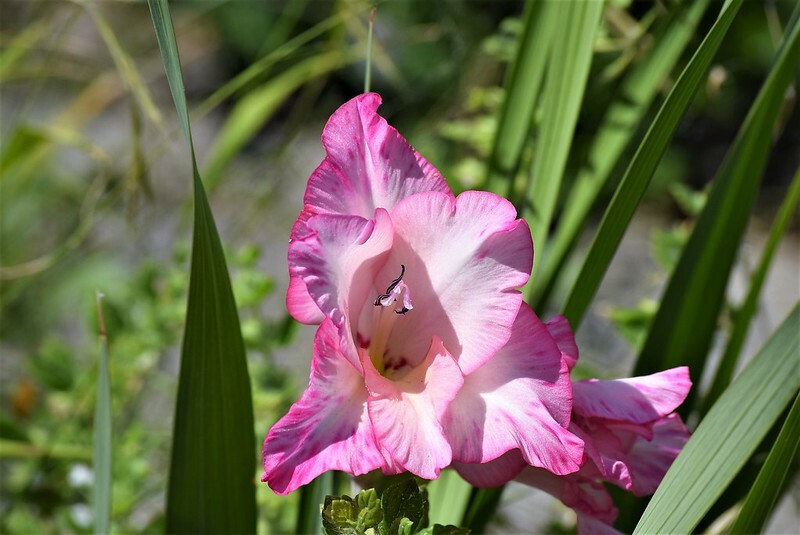 Actually, many people find gladiolus to be boring or ‘simple’. I sort of like their simplicity. I just do not like allowing them to continue to bloom in the garden, as the lower florets shrivel while the upper florets are just beginning to bloom. I am glad that lilies do not remind me of funerals, since I happen to like them so much. I grew some of them back in 1986.